The program is one of five components of the Housing Opportunity Fund [HOF], which is paid for yearly with $10 million in real estate transfer taxes in Pittsburgh. 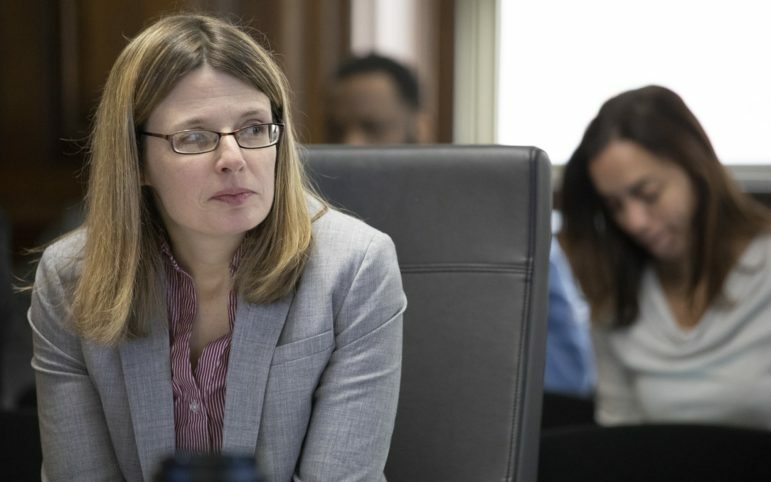 The fund was approved by Pittsburgh City Council in late 2016 to alleviate the rising cost of rent and the decrease in housing affordable to segments of the city’s population. After disbursing the first $1 million chunk of funding in December, the URA is now rolling out programs focused on helping residents obtain, rehab and keep affordable housing. The programs below are being funded with $10 million in revenue collected last year. The URA is spending the remainder on administrative costs. To help boost homeownership, the URA is providing loans to first-time homeowners to help with down payments and closing costs. The loans will have no interest attached and can be deferred for five to 10 years, depending on their income level. Homeownership “builds equity and it builds wealth and it builds a sense of pride and a sense of accomplishment,” said Gainey, D-Lincoln-Lemington. Beyond putting a roof over someone’s head, Gainey said this is important for long-term housing stability, particularly in economically struggling neighborhoods. 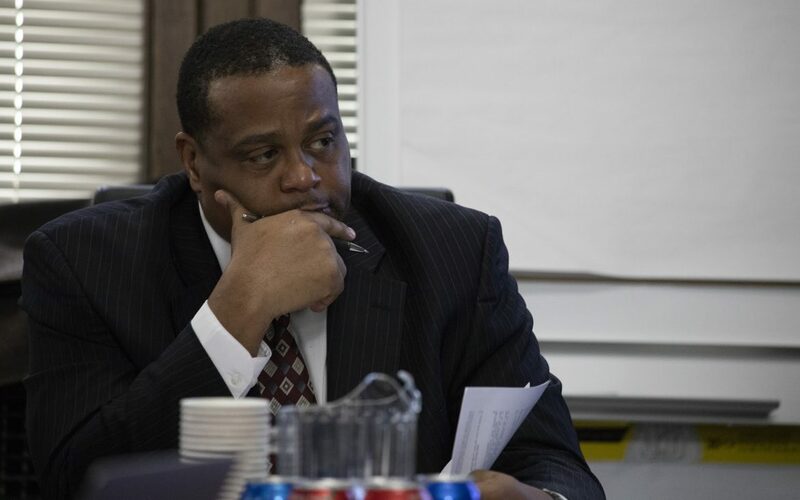 Pittsburgh City Councilman R. Daniel Lavelle, also a URA board member, said he thinks the program could benefit individuals saddled with student loan debt or other financial burdens that put homeownership out of reach. While homeowners build equity instead of paying a landlord each month, the upfront costs of purchasing homes can be substantial. Jessica Smith Perry, director of the HOF, said the goal is to assist in 150 home purchases. The URA plans to spend $750,000 from this year’s $10 million on the closing costs and down payment program. Buyers can receive $7,500 if they earn up to 80 percent of the area median income [AMI] or $5,000 if they earn between 80 to 115 percent of the AMI, which is a common tool for calculating eligibility for affordable housing programs. AMI varies by family size and the URA has published guidelines for the HOF programs. An application for the program is available here. To help residents stay in their housing, the URA plans to spend $750,000 from the $10 million fund to help 150 to 200 individuals facing eviction. “I think we need to consider these emergency funds,” Gainey said. While tenants in many cases have 30 days of advance notice before being evicted, he said tenants sometimes sign away their rights or find themselves having to move in only a matter of days. The program aims to provide short or long-term financial assistance to those at risk of homelessness through evictions. It could help an applicant for as long as a year. What does change in your neighborhood or business district feel like? What would successful urban design look like? How do you envision the Pittsburgh area 5, 10, 20 years from now? PublicSource is telling stories of development and what it means for everyone, from residents to developers. And we want to hear from you. In any media you prefer (essay, poem, song, video, photography, etc. ), please share your creative ideas to be published on how a changing Pittsburgh feels, looks or sounds to you. Email jeff@publicsource.org. Try to send entries by Feb. 25. Details of the program are still being developed, and Gainey said the URA is looking for service providers that can get funds to tenants in need. 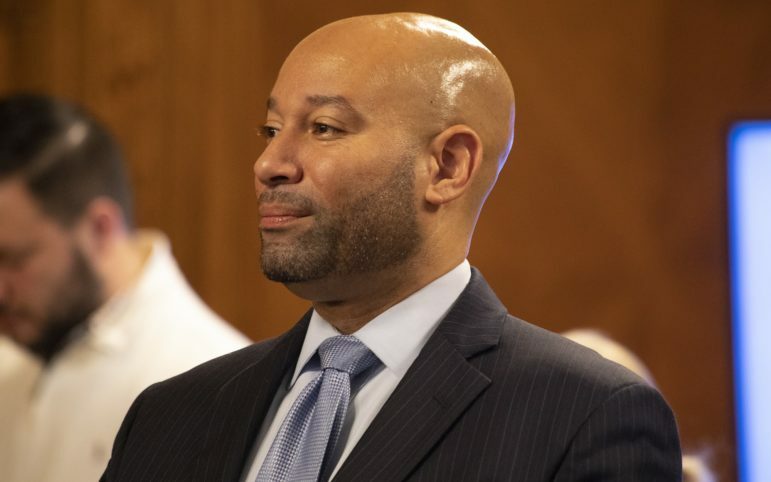 Lavelle said a precedent that could be emulated is the city’s working with the nonprofit Neighborhood Allies to assist residents find housing during the exodus from the Penn Plaza affordable housing complex. Presley Gillespie, president of Neighborhood Allies, praised the HOF as a “critical solution” to increase affordable housing, but he views a yearly fund of $10 million as only a partial fix. “In Pittsburgh, as we continue to build luxury apartments and townhouses, we’ve got to ensure that, again, indigenous residents don’t only get pushed out, but have options as well,” Gillespie said. At its December meeting, the URA announced that it would award contracts to service providers in March and start reaching consumers in April. The URA plans to spend $1.25 million from the fund to provide funding for nonprofit and low-income housing developers to build new homes in areas where construction costs wouldn’t otherwise warrant the investment. Lavelle points to the Upper Hill District as an example. The cost of building a home there exceeds the amount a developer could expect to sell it for. A developer needs assistance to make up for the gap between building costs and sale price, Lavelle said. The URA plans to issue loans and grants for developers to create housing for a total of 14 households. Speaking generally about the HOF, Jeremy Carter, chief housing officer at Community Human Services Corporation [CHS], said the fund is “an opportunity for developers to be innovative.” CHS is a service organization that helps individuals find and keep housing, including if they are facing evictions. But additional solutions need to be considered, Gillespie said, including the possibility of charging companies that are building new developments a fee to pay for affordable housing. A request for proposals from developers is expected to be issued by early March. The URA plans to distribute about $2.4 million from this year’s $10 million on a program to help homeowners fix up their properties to keep them livable. Lavelle said the program could help retirees and families afford necessary repairs that may be delayed because of financial stressors like student loan or medical debt. Money will be given out in a mix of grants and no-interest loans. The largest chunk, $1.5 million, will go to homeowners earning 30 percent of the AMI; $650,000 will go to those making between 30 and 50 percent of AMI; and $250,000 to those earning 50 to 80 percent of AMI. The URA hopes to contract with service providers in February and make an application available to residents by March. The URA’s goal is to repair 70 to 90 homes, Smith Perry said. A single homeowner can receive up to $30,000. About $1.4 million will go to those making 30 to 50 percent of AMI. The URA hopes to develop a total of 100 new units with the fund, but some money will go to restoring old units. Owners must agree to provide housing units for people making a certain percentage of the AMI for a period of decades. The URA is seeking agreements with developers that will include covenants of 35 to 99 years. The URA is currently accepting applications from developers. Last month, the URA disbursed its first $1 million from the fund to this program to rehabilitate a century-old YMCA building in the Hill District and a set of high-rise buildings for senior residents in Squirrel Hill. Linda Metropulos, acting deputy director of ACTION-Housing Inc., said the multi-program structure of the HOF addresses different affordable housing needs like that addressed by their YMCA rehabilitation project. Without $600,000 in URA funding, Metropulos said funding may have been too sparse for the project, which will create single-occupancy apartments for low-income tenants. The project will cost about $7 million overall. “You can’t start a project if you’re $1 million short. You can’t do it,” Metropulos said. At its January meeting, the URA board voted to loan $240,000 from the Rental Gap Program — combined with $180,000 in other URA money — to the Observatory Hill Development Corporation to repair three vacant buildings the organization owns in the North Side. The money will create six apartments, both one- and two-bedroom units, with rent between $428 and $855 per month. Nick Keppler is a Pittsburgh-based freelance writer who has written for AlterNet, The Village Voice, Mental Floss, The Financial Times, Reuters, Slate, The Daily Beast and Vice. PublicSource intern Erin West contributed reporting to this story. This story was fact-checked by Katie Farnan. We have big plans to share: As the Pittsburgh region rapidly changes, PublicSource sees a need for a dedicated focus on the most important stories in economic development. To continue in our tradition of public-service reporting, we are preparing to cover the ins and outs of urban development and the importance of design and planning for the health of the city and region. We want you in the conversation of how the city is changing and what you think others need to know. Join us next month for the launch of DEVELOP PGH.